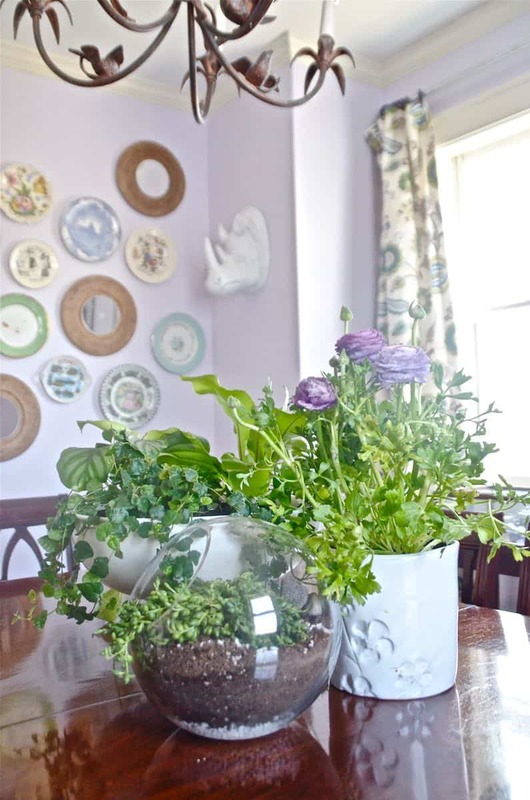 When I made over our dining room, I wanted a lush green centerpiece so a terrarium was on my list for that space. 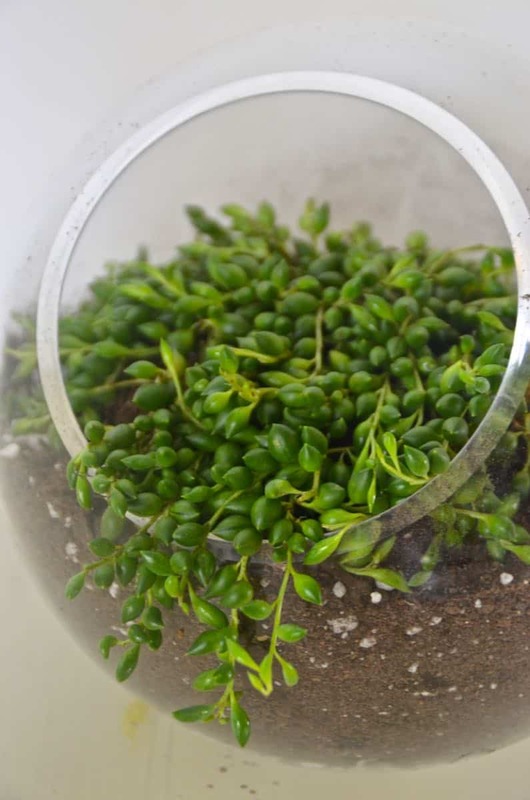 A terrarium is a fun way to add some greenery to ANY room, and if you follow the right steps, in theory they can last you a little while! 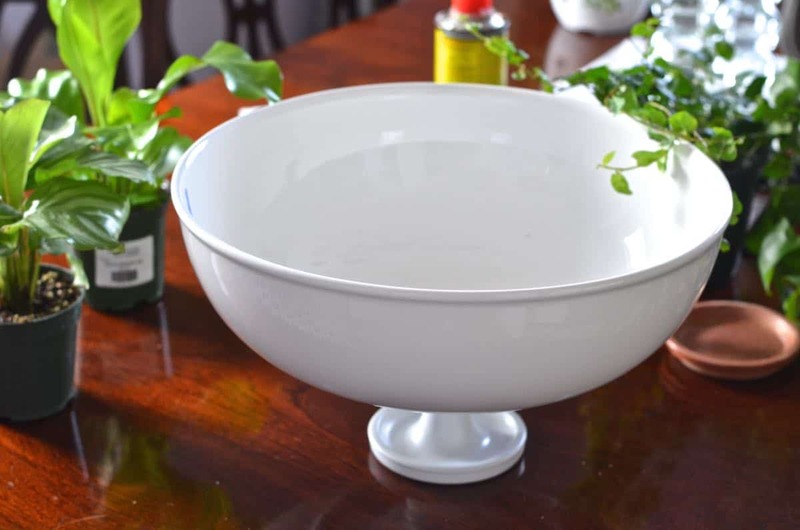 I fell in love with an incredible container that was ultimately a large stoneware bowl with a pedestal base similar to this. For $100. Not happening. But…. 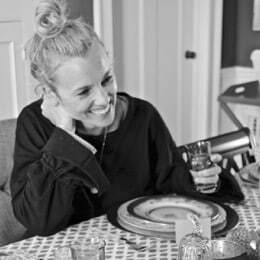 Homegoods did have a simple white bowl and a glass candle stick. So I sprayed the candle stick white and used a heavy duty epoxy to stick it onto the bowl. It’s slightly out of proportion, but with plants hanging over, you don’t notice the smaller base too much. The general rule of thumb for planting a terrarium is to layer the following materials: gravel, charcoal, soil, and plants. I cheat and buy fish tank gravel for the bottom layer… it’s $5 a bag and virtually identical to whatever gravel you’ll find at a garden store. 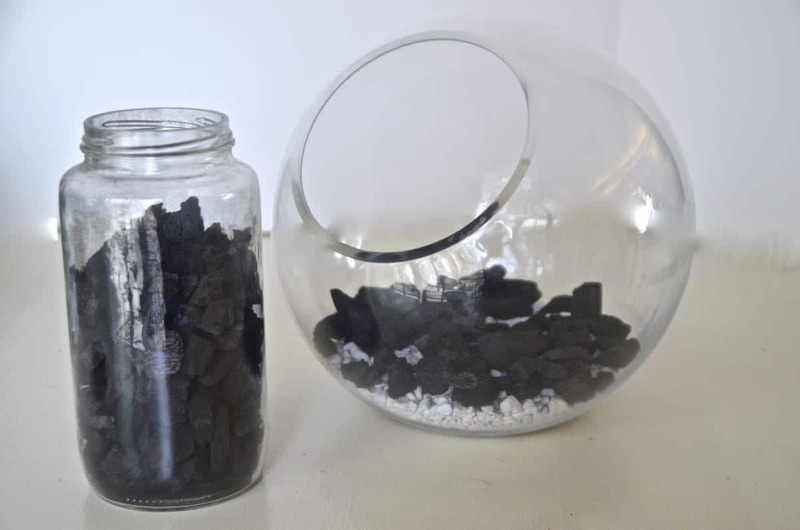 The charcoal is super important for a terrarium as it helps filter toxins in the soil/ water/ air and it helps with any odor that builds up over time. 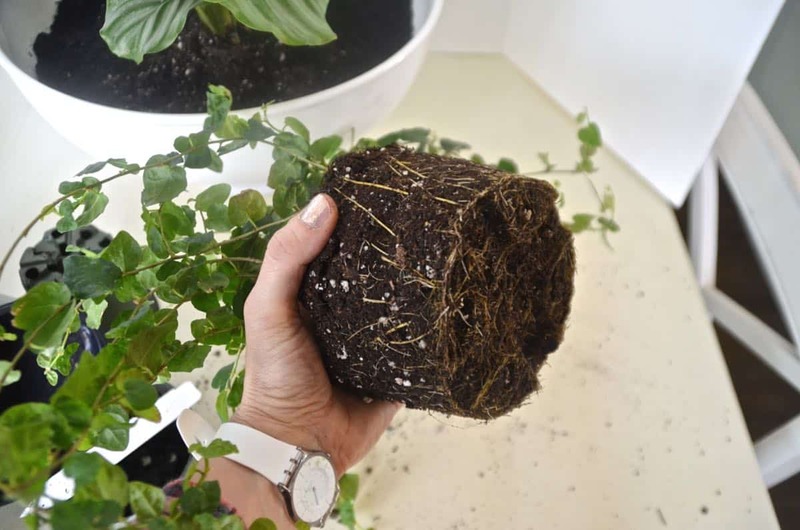 Use a soil specific to your plants (e.g. succulent soil vs. potting soil). When planting anything, dig a hole big enough to easily fit the root ball. 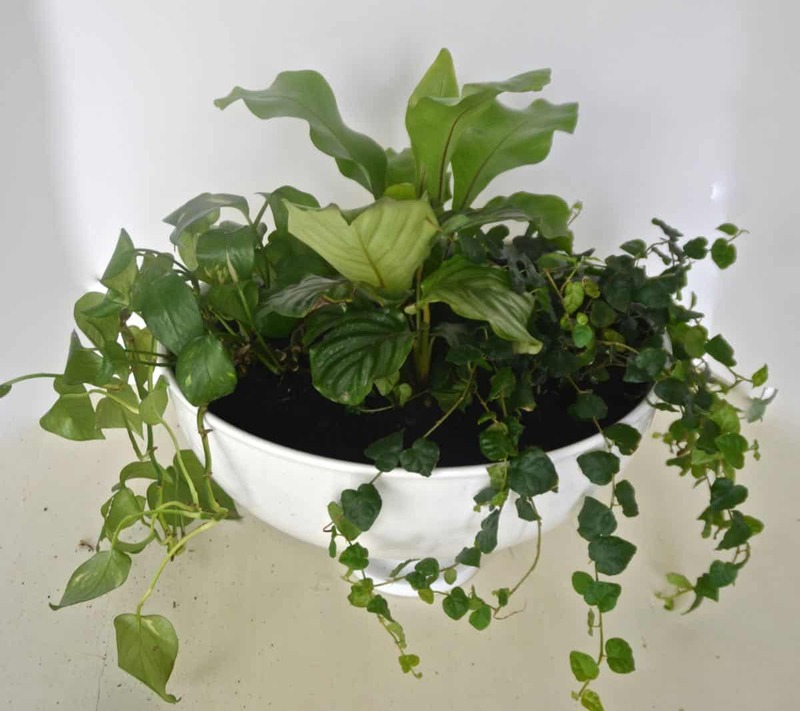 Softly hold the plant and pull it out of the pot… if it doesn’t easily pull out, don’t be afraid to break apart the pot to keep the plant and roots in tact. Gently break apart the root ball a bit and place into your soil. Fill in around the roots to make sure there aren’t any air pockets or places where the roots aren’t surrounded by soil. Water, and start the clock to see how long you can keep it alive! Thank you for sharing this idea. I looked on line and could only find powder or tiny particles of charcoal. Where can I purchase the big chunks from? Is that a string of pearls, where did you get it!? We have a great place near us in CT called Terrain. Not sure if you’re local… it’s on the Post Road in Westport. They have EVERYThing!! Ha! Man are you asking the wrong woman! 🙂 I kill ’em ALL! I actually do pretty well with succulents because I *never* water them. You can also look for airplants… these are ones that don’t even need dirt! 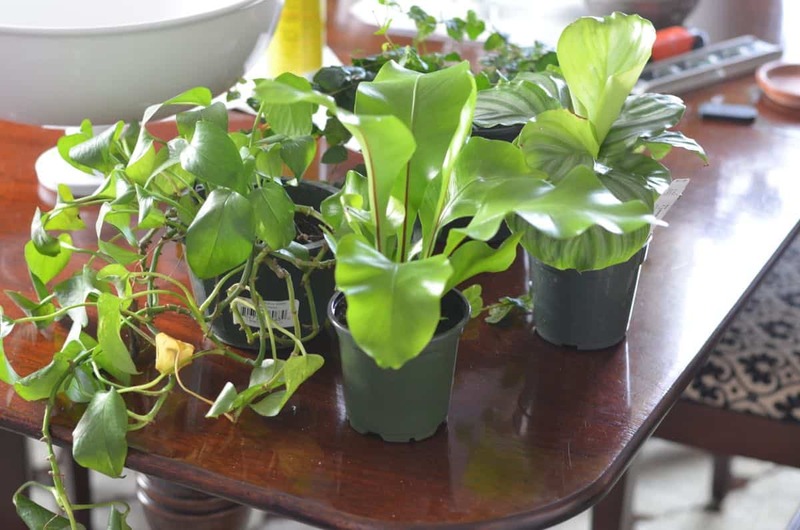 As for house plants that I haven’t killed… I’ve had the most luck with pothos varieties and Spathiphyllum. (I’d never heard of prayer plants… they’re gorgeous!) Good luck! Hey Charlotte, thnx 4 answering me about my plant dllemma. Appreciate your input. I probably will make a try @ airplants. Sounds like a good idea. I mean, like who can kill a plant that lives on air right? LOL! Hi there, could you tell what the plant is that you put in the glass orb? Hi Erin! It’s informally called a String of Pearls succulent… not sure what the proper ‘science-y’ name is! Fair warning… I LOVE them, but am like 0 for 3… I struggle to keep those guys going. But seeing those pics makes me want to try yet again! Good luck! Hi! After you’ve planted everything, yes… you will need to water! Good luck!